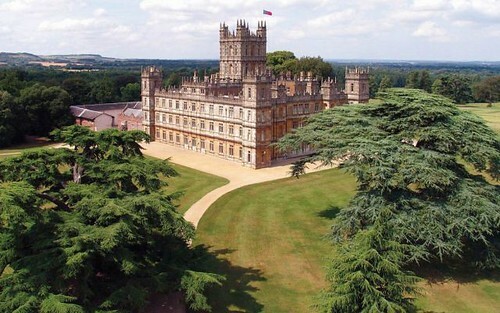 I have been wondering about why I have been so obsessed with Downton Abbey. Sure, there is the constant upheaval of intense emotions, the love and hate, the innuendo, the costumes, the ever evolving and passing of relationships, and all the exotics of a period drama. But there’s also the bluntness of how the characters speak to each other that fascinates me. There is Lady Mary’s constant taunting of her sister Edith. And of course the rivalry between the dowager and her son’s American wife. But even when there isn’t an ongoing personal conflict between two people at play, no one seems to have too much trouble to let the world know how they really feel. I was stunned by the exchange between Lady Edith and her future mother-in-law in the final episode, after the bride-to-be had revealed that her child was conceived out of wedlock. After some back and forth, the matron finally heaped praise on Edith, calling her “unimpeachably honest”. When Edith responds, slightly worried, “And you’re not just saying these things to avoid a quarrel with Berti?” (her son), the elder lady soberly answers “Well that’s part of it”. Let’s not make reassurance a goal here. Earlier in the same episode we were confronted with another example of brutal honesty. Thomas Barrow, the formerly evil footman, who after his suicide attempt seemed cleansed from all viciousness, is announcing his departure. Miss Patmore, the formidable cook, comments wrily : “I don’t know if you’re a good thing or a bad thing, Mister Barrow”. That is a pretty unempathic thing to say to someone who had recently tried to kill himself. Yet, it may be understandable, coming from someone who has put up with Barrow’s misdeeds for years. The point is, there is a freshness and a relief in witnessing such candor, when the culture we live in is often telling us to be diplomatic, and cautious of hurting someone’s feelings. The truth is that we often hide our actual beliefs for fear of conflict, of being exposed, of getting hurt oneself, or because we don’t want to deal with the reaction to our words. There is a widespread “massaging of the truth”, as Mike Robbins describes it in his TED talk “The Power of Authenticity”. It’s not lying, as he ponders, but a chronic withholding of real feelings. Conflict avoidance seems to be rampant in this day and age. Conflict is something dreadful, a painful occurrence, a sign that there’s something wrong with a situation or a relationship. Most of the time, the person that is being evaded can actually tell that there may be a discrepancy between what is said and what is really the case. Our facial expressions betray us, and generate confusion and possibly even distrust. What we are unwittingly communicating to someone who we are inauthentic with is either that we don’t trust them with our truth, or that we have to protect them from our reality because they won’t be able to take it. Inadvertently, we create more insecurity, more doubt, less robust relationships. Authenticity doesn’t have to mean being rude. It simply means being real. Carl Rogers, the famous American psychologist, made “congruence” or genuineness one of the most important elements of being a well integrated person. In his view, no feeling was to be banished. Whether a person felt afraid or silly or angry – if they could be ok with whatever they felt, that is what congruence means. “The crucial point is that there would be no barriers, no inhibitions, which would prevent the full experiencing of whatever was present”, Rogers wrote. Which brings us back to Downton Abbey and the dowager, alias Maggie Smith, who so fittingly commented on what an English happy ending looks like: “There’s a lot of risk, but with any luck they’ll be happy enough.” So real. Chia: thank you for this.